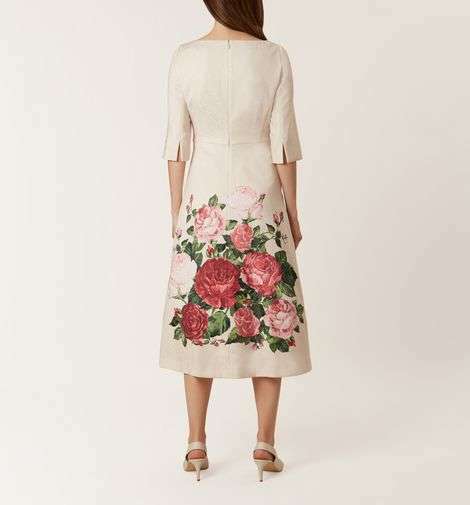 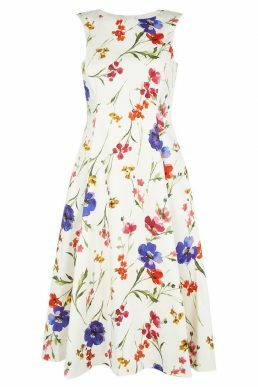 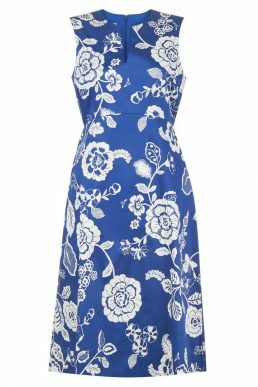 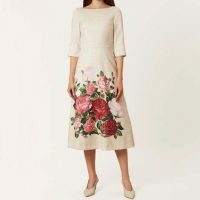 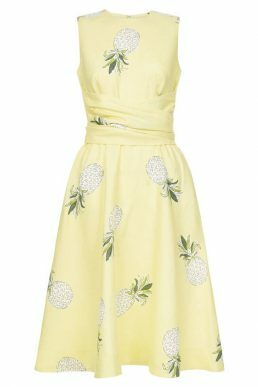 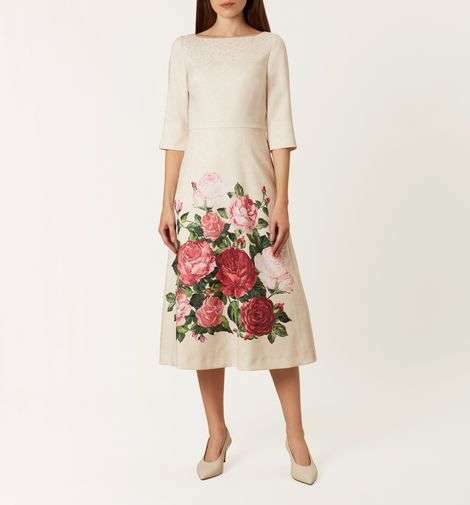 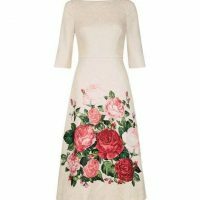 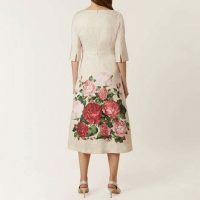 The stunning Princess Rose dress from Hobbs is crafted from luxurious Italian jacquard, and features a hand-painted, placement print of beautiful roses in full bloom. 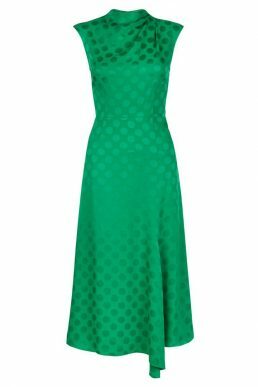 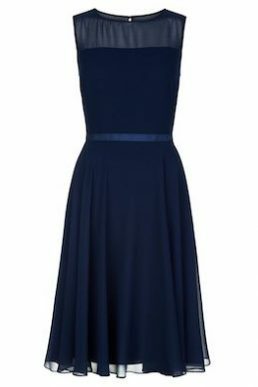 Shaped by a sophisticated boat neckline, its flattering fit and flare silhouette is accentuated by netted lining. 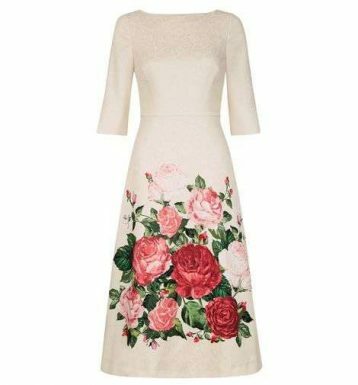 Style yours with neutral accessories and heels.